This is the third post in our ongoing series on caregiver students. One of the most difficult parts of juggling higher education and parenthood is accessing child care. College students with children, or student parents, need somewhere for their children to go while they attend class, complete assignments, and study. And ideally, they would have somewhere to send their children that is conveniently located, open for the hours they need, and affordable, as well as safe and nurturing. Student parents tend to be short on both time and money, and challenges accessing child care can make it more difficult for them to stay and succeed in school. Unfortunately, child care in the United States is often so expensive that it is inaccessible even for parents who aren’t simultaneously navigating higher education. As Child Care Aware explains, the cost of child care varies across states, but it remains unaffordable nationwide. And it is more expensive for children under five, and especially cost prohibitive for infants and toddlers. Take the state of Virginia, for instance, where the average cost of center-based care for an infant is $13,728, which is slightly higher than $12,820, the cost of tuition at a public four-year institution. And access is about more than just cost. The Center for American Progress finds that about half of Americans live in areas where there is an undersupply of child care. The primary way that the federal government helps families access child care is with subsidies through the Child Care and Development Block Grant (CCDBG). But the Urban Institute finds that only 15 percent of low-income parents enrolled in education and training programs actually receive child care subsidies. This can be due to limited funding, waitlists for the program, or state eligibility rules. States have significant discretion over who qualifies for CCDBG subsidies, with some states requiring parents to be employed, others only allowing subsidies for parents earning certain credentials, and others imposing unrealistic time limits on access. These requirements limit access and make the system more difficult to navigate. There is one federal program specifically dedicated to assisting the student caregiver population: the Child Care Access Means Parents in School Program, known as CCAMPIS. This small program provides grants to institutions of higher education (IHEs) to help low-income students (defined as those eligible for Pell grants) afford child care through the use of a sliding fee scale based on income. IHEs must receive at least $250,000 in Pell Grants to apply and grants last four years. Both undergraduate and graduate students are eligible to participate in the program, as are students taking online courses. CCAMPIS funds are often used to support on-campus child care centers, but the funds can also be directed to off-campus centers, including home-based care. As Inside Higher Ed explains, “Many [grants] also provide coaching on parenting to students and require they meet academic and income requirements to remain in the program.” The Department of Education’s website says that grants can also be used for before- and after-school services. The child care facilities receiving the federal funds must be licensed by the state, but do not need to meet any additional measures of quality. Earlier this year, Congress substantially increased funding for CCAMPIS from $15 million to $50 million per year. While still a relatively small program, this is its first large increase since 1998. It will likely increase access to on-campus child care, which is good news since the availability of campus child care has decreased steadily from 2002 to 2015, as displayed in the Institute for Women’s Policy Research (IWPR) graphic below. This new funding allowed the number of higher education institutions receiving CCAMPIS grants to jump from 86 in 2017 to 196 in 2018. The average grant in FY 2018 was just over $170,000, ranging from $14,294 for Slippery Rock University of Pennsylvania to $558,988 for the University of Houston. About 5,000 students participated in the program in 2017 and the recent funding increase could mean that an additional 7,600 students are served. Despite the recent funding increase, there is still a long way to go before CCAMPIS meets the needs of all student parents. Caregiver students (who are those who care for dependents and are mostly student parents) make up almost a quarter of all undergraduate students. Even if funding for CCAMPIS was tripled to $150 million it would still only meet the child care needs of about two percent of student parents across the country. It’s especially important to provide child care to students because data suggest campus child care leads to higher rates of graduation. According to IWPR, data tracking and information from grantees suggest CCAMPIS participants have higher retention and completion rates than students on average, as well as high academic performance. Take the University of Wisconsin-Madison, for example. The school has used CCAMPIS funding since 1999 to subsidize child care costs, providing full-time, full-year care to almost all of its CCAMPIS students. Data collected over a ten-year period show that 90 percent of the 123 student parents enrolled in the program either graduated or are making progress toward degrees. And 70 percent of these students maintained a GPA of 3.0 or better over this time. Compare that to national numbers and the contrast is striking: on the national level only 27 percent of single student parents and 39 percent of married student parents attain a degree or certificate within six years of enrollment. Evidence shows that childcare increases the chances of student parents successfully completing their degrees. It is also clear that the federal CCAMPIS program should be receiving significantly more resources to meet the substantial need for this kind of support. But questions remain about how the program funds are best used and the quality of the child care provided through the program. It doesn’t have to be this way. The Department of Education has data on the program. Their website says, “All CCAMPIS grantees will be required to submit an annual performance report documenting the persistence and degree attainment of their participants.” This should be made publicly available so the community can learn which types of services best support student parents. Additionally, the Department should collect data to shed some light on the quality of early care and education that CCAMPIS children receive. This could provide insight into the long-term benefits of the program, for both parents and their children. 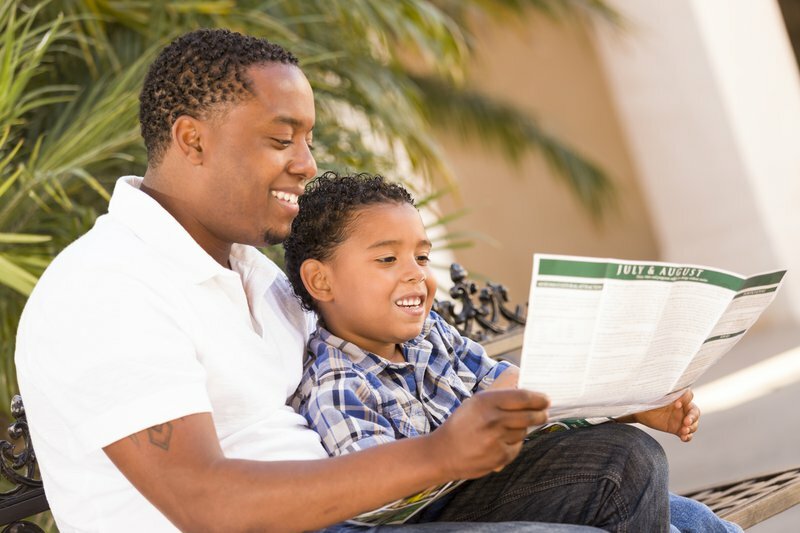 A forthcoming blog in this series will discuss two-generation programs that intentionally set out to improve outcomes for both student parents and their children.